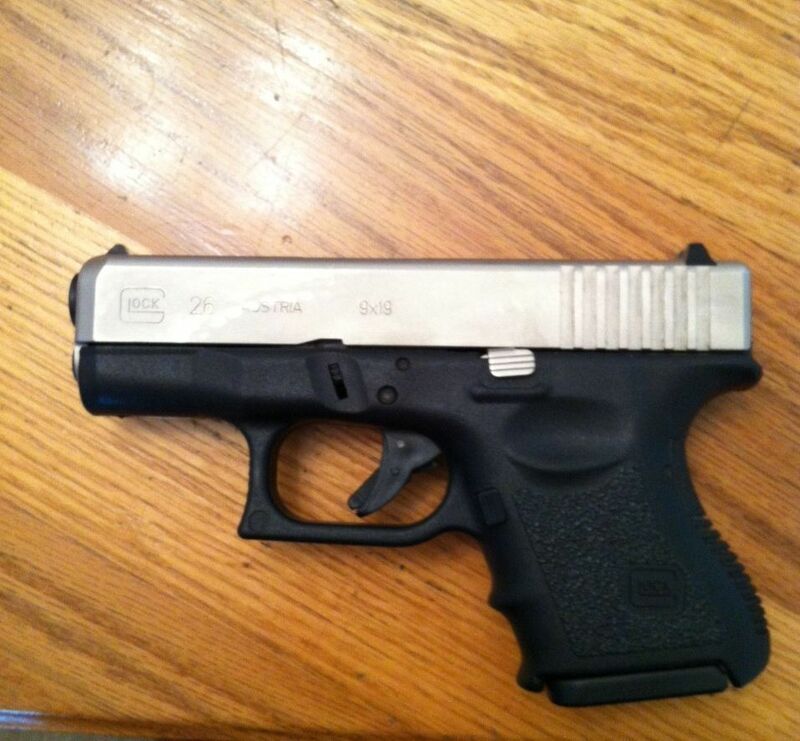 Any of you guys know if Glock ever did a two-tone, nickel slide/black frame 26. I know they did the OD frames and black slides as well as the new FDE option that came out not that long ago. I never thought they did a silver/black option. I could very well be wrong which is why I'm asking. Buddies about to trade for one and I thought it was either refinished or maybe a Lonewolf top end. I havent seen it yet so I'm just guessing at this point. He seems to think its factory. Unless they made a very limited edition of dual-tone G26s that weren't sold to the public, but given as gifts or donated to charitable organizations/events, then the answer is no, it is not factory. It could have been done by Talo Distributors which partners with firearm manufacturers to release limited edition "custom" firearms. Other than what I mentioned, it could have been done by any business that is in the business of custom firearms work. I'm not 100% sure, but I do think some factory Glocks were offered with the FailZero EXO finish. 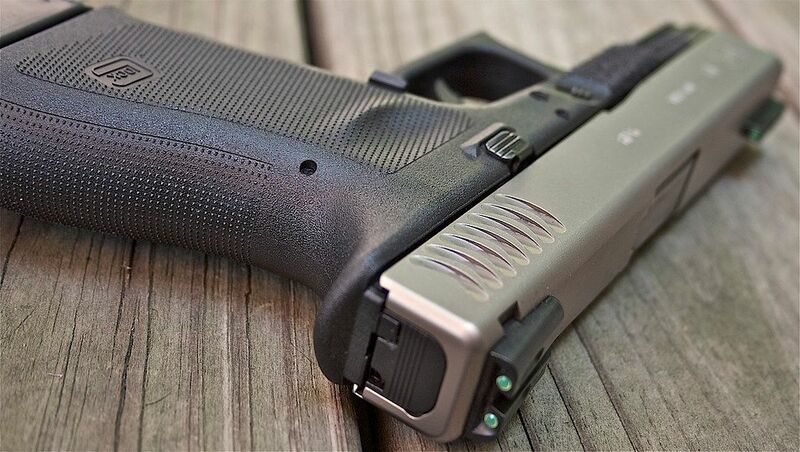 I actually sent my G19 slide to FailZero and have them do the EXO finish for me. The EXO finish isn't a bright finish though. It's very toned down, kind of grey in color. Little more info, guy he said he got it from, got it brand new, because it was TT. Box it came with is the tupperware style, not the flip open hinged case. Pretty sure he said it was purchased in '98. No Talo markings or anything on the gun or the box. Guess it doesnt really matter but its buggin me and I wanna know what the hell it is. (09-12-2012, 04:31 PM)brownman Wrote: Little more info, guy he said he got it from, got it brand new, because it was TT. Box it came with is the tupperware style, not the flip open hinged case. Not sure that means anything. I have both a G19 and a G26, One came in a factory hinged case, the other came in the factory tupperware case. Looks too bright to be the EXO coating. Could someone have sanded and then buffed it down? The way the picture looks the grooves on the back are not as clean as the rest of it and they would definatly be harder to polish. Also the pic looks like half the 'Austria" is rubbed off. (09-13-2012, 05:33 PM)CPratt Wrote: Could someone have sanded and then buffed it down? The way the picture looks the grooves on the back are not as clean as the rest of it and they would definatly be harder to polish. Also the pic looks like half the 'Austria" is rubbed off. Thats what I thought too at first, home polish job or maybe a refinish but, it WAS purchased new in TT (two-tone). There is some slight holster wear on it which is why it looks a little boogered by the Austria mark. Remember, this is almost 15yrs old too and the pic was taken after the transfer before he got to clean it up. Nice little shooter too. We were out today and just got home not too long ago. Fist sized groups at 10yds. (09-12-2012, 10:21 PM)EvoRich Wrote: Looks too bright to be the EXO coating. I think its just the lighting of the camera. Seeing in person today, its pretty dull actually. On the muzzle end of the slide where it starts to get rounded is more comparable to what it really looks like. ETA- that first quote is supposed to be CPratt. I guess this is a known glitch. Personally I have never heard of it but the sure fire way to your answer is to contact Glock and ask them. PS: The G26 looks pretty sweet, congrats and happy shooting. My vote is home polish job I seen a guy did one to a 19 and it actually looked rather good but not my style.